Virginia. General Assembly. House of Delegates. 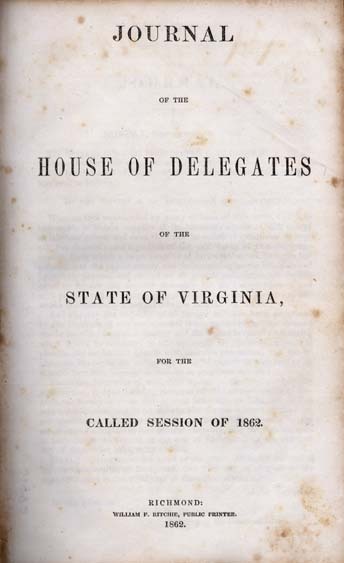 Journal of the House of Delegates of the State of Virginia, for the Called Session of 1862. Message of the Governor of Virginia, and Accompanying Documents. Journal of the House of Delegates of the State of Virginia, for the Called Session of 1862. Message of the Governor of Virginia, and Accompanying Documents. Richmond: William F. Ritchie, 1862.